Year’s End is guitarist Matt Marshak‘s debut New Age recording. He has released 9 contemporary jazz records over the last 15 years that have been featured on Billboard and other Jazz charts. On this effort Matt delivers a very different offering: From the heart, melodic, introspective, atmospheric, new age acoustic guitar. There are enticing melodies, capturing moods, and an overall feeling of Peace and Joy to this recording. The songs on Year’s End echo the end of the year. Autumn, harvest, and Winter time are the themes of this recording. As the leaves change, the air cools, and Winter soon approaches, it is a reflective time of the year. Year’s End is the soundtrack for the Autumn and Winter seasons. From the heart, organic and melodic handcrafted new age atmospheric guitar. Now at CDBaby. In the world of music artistry guitarist Matt Marshak has a secure and well deserved place. His life circle and sphere of activity is New York. A good reason to call his new album New York (2016). Matt recorded the album in one day at Secret Studios in Baltimore supported by Sean Michael Ray (bass), Benjie Porecki (keys), Carl Anderson (drums), and Ronnie Queen (vocals on Real Music). Most important was for Matt a human and natural sound with no drum programming and loops. He has implemented this concept on his album in all its consequences. 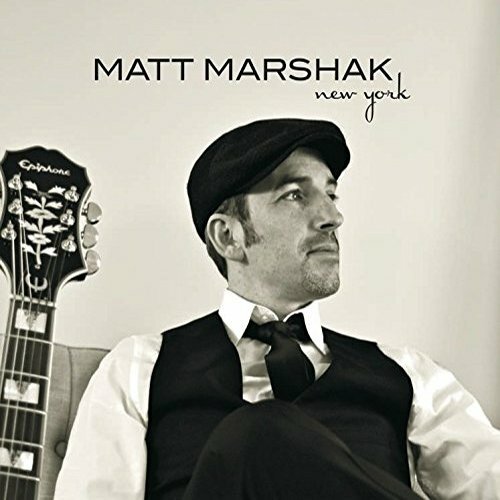 Matt Marshak‘s New York captures the many sides of this diverse one of a kind guitar player. He is 100% live in the studio with a great band behind him. It’s jazzy, rootsy, soulful, funky, and groovin’. Sean Michael Ray is on Bass, Carl Anderson on drums, Benjie Porecki on keys. The opening track “North Carolina” conjures up imagery of a dusty southern road with a Church house on the hill, “Real Music” (feat. Ronnie D Queen) on vocals is just that–good ol’ real music with a live band–no drum machines, samples, loops, etc. “Lookin’ Back” has a funky jazz groove reminiscent of the 1970’s. For Matt’s European fans, you can see him performing at the Algarve Smooth Jazz Festival in Portugal from September 29th – October 2nd. 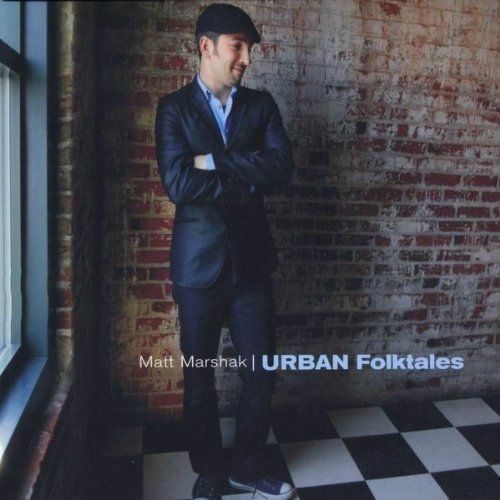 Buy the CD New York by Matt Marshak on the independent record store by musicians for musicians CDBaby. Long Island native guitarist Matt Marshak has an incredibly likable charisma. Is that enough to succeed? Certainly not. But with eight CDs on his shoulders he is constantly building on his awareness and reputation. He is currently touring in support of his new album Lifestyle, which he recorded in a two-day walkover with the support of Gerald Veasley (bass), Benjie Porecki (keyboards), Carl Anderson (drums), Mario Cruz (sax) and Barry Danielian (trumpet). Tell me your companions and I’ll tell you in which direction you aspire. With experienced studio musicians, an album with musical depth is the result. The album features nine originals, whose duration promises plenty of enjoyment. Matt Marshak brings his strongest and most honest release to date. Lifestyle is inspired by the Golden Era of contemporary jazz and R&B (late 1970’s-80s), and artists such as George Benson, Larry Carlton, James Brown, David Sanborn, Prince, BB King to name a few. Organic production, absolutely no drum machines or drum loops, spontaneity, improvisation, and a human element all give the listener reassurance that this record is rooted in tradition of jazz and groove music. Gerald Veasley on bass, Benjie Porecki on Keys, Carl Anderson on drums are the band on all the tracks. The whole album was recorded live at “Secret Sound” Studios in Baltimore Maryland and Nuance Studios in NY. Matt Marshak brings a unique guitar sound, 100% original material, and is putting forth music based on artistry, honesty, and expression. Lifestyle is to find at CDBaby. A soulful mix of Matt’s trademark late night urban groove, cuban tinged funk, straight up soul, down home blues, contemporary jazz, and even some pop for good measure. Defining a new era in instrumental and jazz music. Colors of Me is just arrived at CDBaby. 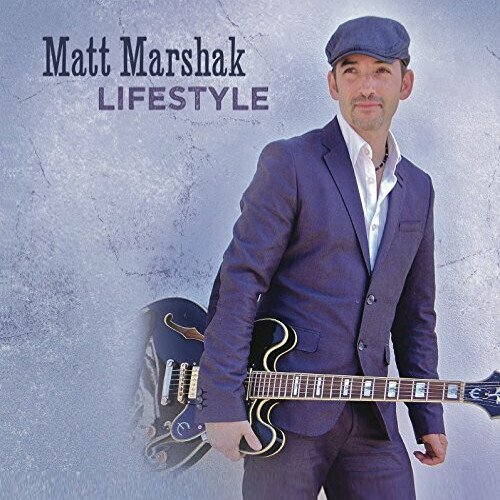 Long Island, New York native Matt Marshak is a full-blooded guitarist and an integral part of the New York music scene. Performing with many local groups he even received high accolades of Deep Purple’s legendary guitarist Ritchie Blackmore. Having sound knowledge in many genre his heart however beats for contemporary jazz. Preservation (2001), This Time Around (2004), Groovosphere (2006), On The Rocks (2008) and Family Funktion (2009) are his solo albums fostering the path to bigger popularity. With Urban Folktales he now shows constancy, reliability and certainly a sureness of touch in arrangement, composition and performance. Top musicians have joined his recording staff: Rodney Williams (keyboards), Carl Anderson (drums), Kenny Harris (bass), Marcus Anderson (vocoder), Benjie Porecki (Fender Rhodes, Hammond organ, keys), Gina Breedlove (vocals), John Dillard (bass), Barry Danielian (trumpet), Mario Cruz (sax, flute, horns), Stix Bones (keys, programming), Chris Geith (keys). Matt performs on this album guitar, additional bass, keys and drum programming.